Cul Mor and Cul Beag (Corbett) are two impressive rocky hills in the Inverpolly Nature Reserve N of Ullapool. They can be climbed together to give a full day in the hills but this will involve an un-bridged river crossing. Cul Mor has bands of weathered sandstone cliffs, which are difficult to climb, on most slopes and should be avoided, thus limiting the possible ascent routes. 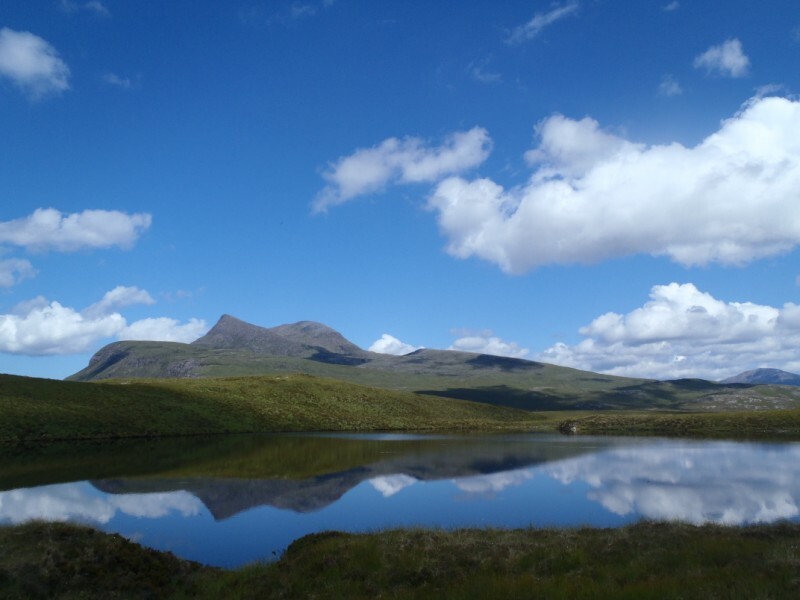 Moreover, Cul Mor is largely surrounded by lochans and rivers to the N, W and S and the only easy approach is from the A835 to the E where a stalkers path ascends its east ridge to Meallan Diomhain. This ridge can be followed to the summit. Cul Mor as seen from the start of the approach to Cul Beag. Cul Mor viewed from the summit of Cul Beag. 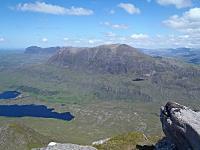 Suilven is just visible to the left. The summary information of one or more ascent routes that include Cul Mor. 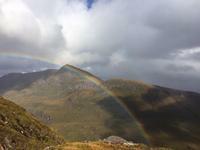 Post a few words about Cul Mor or read what others have had to say. Didnt bother with Cul Beag (saved for winter). Instead went over the subsidiary top and then dropped back down into the corrie. Like all hills in this part of the world its got cracking views. There is good parking available on the roadside just north of Knockan Crag visitor centre. From here the ascent to Cul Mor is very straightforward on a well made path that leads up to a grassy plateau. From here one follows the curving ridge, making the final climb over bouldery ground from the north. 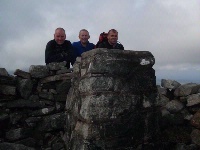 The views are superb and the summit is marked by a trig point. The continuation to Cul Beag is worth it but note that they are really 2 seperate hills, you lose circa 700m which you have to make up!